When you make a $25 donation, we’ll mail you a beautiful card (or send an e-card). Initiated in 2004, Grandview Woodland Food Connection is a Neighborhood Food Network working in partnership with Britannia Community Centre as host agency. 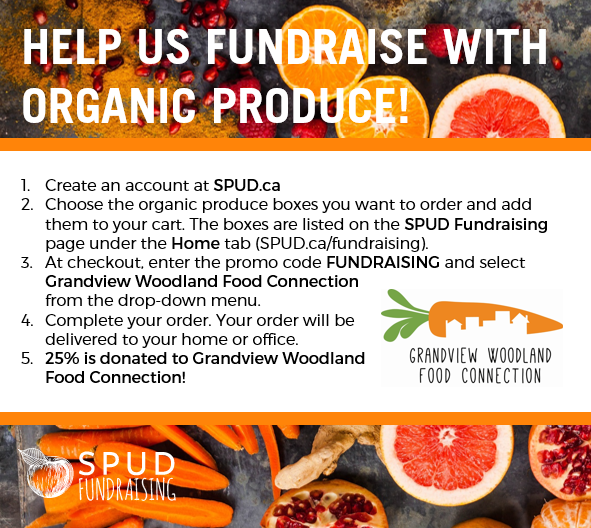 We are dedicated to supporting the health and well-being of all residents, and in particular, those most vulnerable living in Grandview Woodland and nearby neighbourhoods by promoting an accessible, just and sustainable food system for our community. We seek to build capacity of the neighbourhood through education, information sharing, and the creation of grassroots initiatives to address food security and justice issues. This blog has been developed as a means to share information on food security in the community and to help build an engaged, knowledgeable, and inclusive food security network. Check out Vancouver’s eleven other Neighbourhood Food Networks . 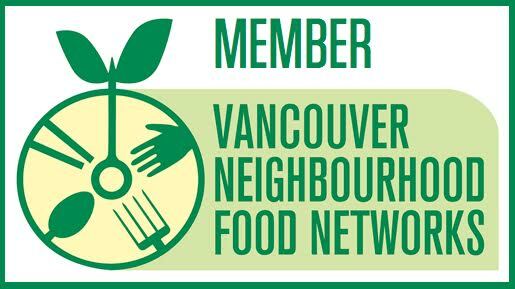 The Vancouver Neighbourhood Food Networks (NFNs) are unique coalitions of food organizations working with passion to advance food justice at the community level and organizing programs like school gardens, community kitchens, food celebrations, meal programs, and pocket markets. Core to this work is an acknowledgment that everyone, no matter what their life situation, has the right to quality food. Equally important, program participants are invited to engage and contribute their diverse skills and talents toward co-creating a just and sustainable neighbourhood food system. Whether the focus is on health and nutrition, food access, community, or the environment, the richness of the NFN’s demonstrates the incredible energy and passion fuelling the Vancouver food movement. The Grandview Woodland Food Connection is proud to be a Good Food Organization working toward a healthy and fair food system in alliance with Community Food Centres Canada. We are joining a growing network of like-minded organizations across Canada who share a commitment to offering healthy and dignified food programs in their communities. We hope that you find this blog informative and welcome feedback and ideas for posting.